The Wukang Building, a French renaissance style building formerly known as Normandy Mansions, is to be restored to its former glory. Designed by Hungarian architect Laszlo Hudec, it was built in 1924 near the junction of Wukang Road and Huaihai Road W. Hudec was a renowned architect in 1920-30s Shanghai, and many of his buildings, such as the Park Hotel, Moore Memorial Church and the Grand Theatre are city landmarks. The Wukang Building, which from one direction looks like a ship, was built to commemorate the Normandy warship sunk during World War I. It is the oldest veranda-style apartment block in Shanghai. Work will begin this month to return the block to its original look, said Zhu Zhirong, head of Xuhui District's Housing, Land and Resource Administration. 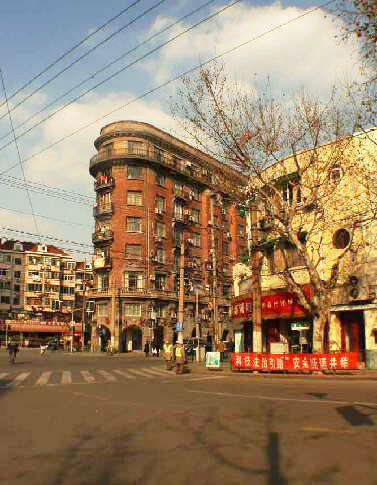 Xuhui District plans to open about 40 old buildings to the public before 2010 and create four architecture sightseeing routes, including Wukang Road. Bilingual GPRS guides will allow visitors to learn the history of the buildings.